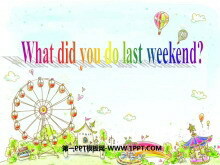 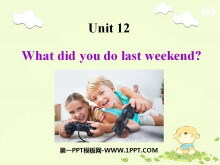 《What did you do last weekend?》PPT课件3 用所给动词的适当形式填空。 1.We ______ (live) in Japan last year. 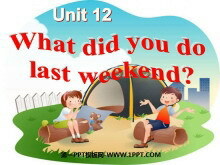 2.Jack________ (stop) the car last Sunday. 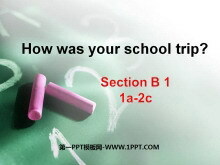 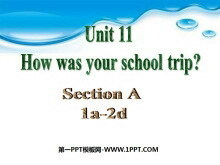 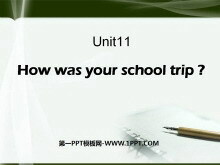 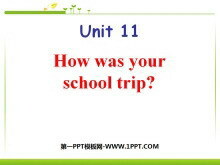 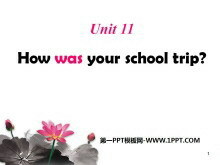 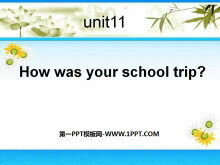 3.Tom _______ (clean) my room and ______ (study) for the Ch..
《How was your school trip?》PPT课件 Grammars : 一般过去时： 1.定义：表示过去某个时间或某一段时间内发生的的动作或存在的状态，常和表示过去的时间状语连用，如yesterdaylast night in1990two days ago 等。一般过去式也..